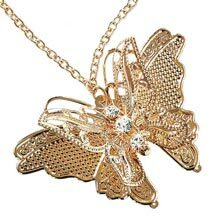 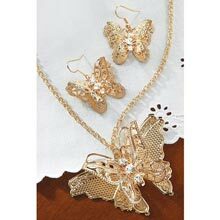 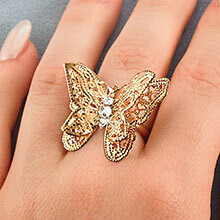 The butterfly inspires us as a symbol of glorious transformation. 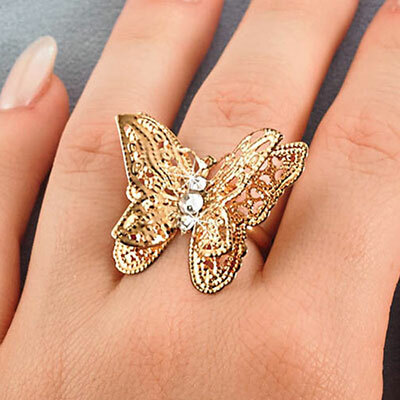 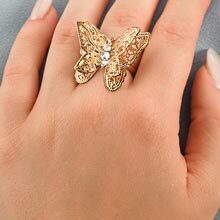 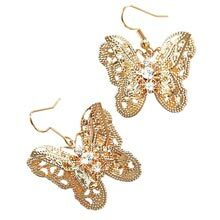 3-D Filigree Butterfly Ring has a vintage look with intricate, gold tone filigree wings and crystal studded body on adjustable metal band. 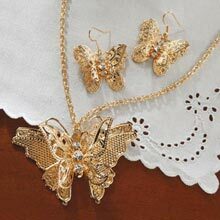 One size fits most; 1¼"w. Enlarged to show detail.